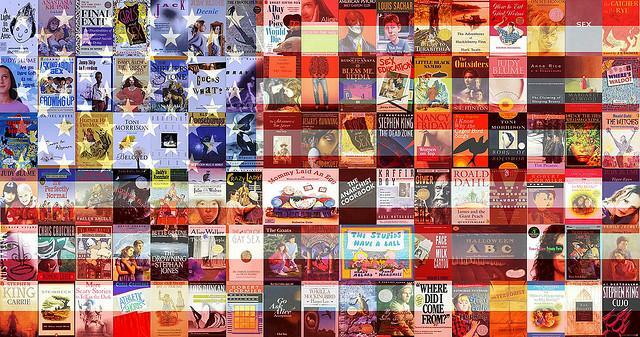 National Banned Book Week celebrates the right to choose your own censorship on books. The Cape Girardeau Public Library is fighting censorship through the thirtieth annual national Banned Book Week, sponsored by the American Library Association. To celebrate Banned Book Week the library created a display of banned books, which include Harper Lee’s “To Kill a Mockingbird,” Mark Twain’s “The Adventures of Tom Sawyer,” and Daniel Keyes “Flowers for Algernon.” Books are switched periodically throughout the week to showcase different banned books. The library’s Paula Featherston says that the purpose of Banned Book Week is to promote freedom to read. “If individuals want to limit themselves to what they read, that’s certainly their prerogative or their children, but they’re not or they can’t expect a library or any other agency to do that on their behalf, because like I said, it’s not constitutional,” Featherston said. Featherston says that censorship in the U.S is still happening. “There might have been a time where there would have been a lot more censorship, but again it still goes on. It’s definitely alive and well in schools even now,” Featherston said. It is estimated that over a thousand books have been banned across the United States due to profanity, racism, and sexual content. Many books have been banned from schools, as opposed to public libraries. Featherston stated that, although censorship is still happening, she has yet to take a book permanently off the shelves during her career with the library. Banned Book Week will take place from September thirtieth to October sixth. The public library will feature a display of banned books to commemorate the event.